Editor’s Note: Today’s post is from Hervé Dumas, Group Chief Technology Officer and Philippe Benoit, SATAWAD project director at Veolia, a global water, waste, and energy management company headquartered in Paris. 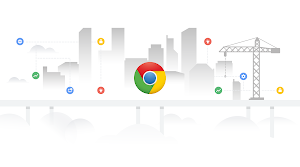 Veolia is using Google Chrome Enterprise, Chromebooks, and G Suite to support its “working anytime/anywhere” program, and to reduce security risks and IT management. How do you empower a workforce of nearly 170,000 in five continents? Give them tools that make it possible to work when and where they need to, with access to everything they need to get the job done. That’s what we discovered when we embarked on transforming our end user computing strategy in 2013. Back then, we were juggling 250 communication platforms across systems worldwide. Employees were relying on a hodgepodge of tools for creating documents, slides and spreadsheets, and struggling to do simple things like share files between countries, or even just between departments. Our IT teams were spending as much as 80 percent of their time managing technology infrastructure. And we were worried about maintaining security for such a vast and diverse group of systems. At the same time, we needed devices and apps that gave our employees more flexibility. Many work on water, waste management and energy projects in the field so they can be close to our customers and operations. Others travel to regional offices or our Paris headquarters. All needed tools that allowed them to work where the job took them, without being tied to a desk or a device. As a result, we launched SATAWAD—our “secure, anytime, anywhere, any device” cloud project aimed at empowering our workforce to truly become cloud workers. 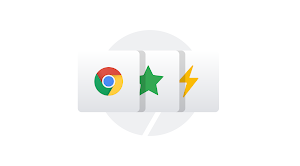 Our first step was to replace most of our 250 systems with G Suite for the entire workforce and begin rolling out Chromebooks to our entire staff. Immediately we saw benefits. Sharing and co-editing have become the new normal, which is great because teamwork is a huge priority for Veolia. Now, an engineer in Brazil can send a spreadsheet to a project manager in Paris without having to worry about version control or which software her counterpart uses. Entire global teams can now collaborate on documents easily. Hangouts Meet also broke down barriers that previously made it difficult to collaborate. Before G Suite, video conferencing hardly ever took place at Veolia—we didn’t have technology that people could use without asking for IT’s help. Now with Hangouts Meet, it just takes a few clicks for coworkers to collaborate face to face. It’s been incredible for the culture at Veolia, bringing our global organization closer together. Today, we average more than 80,000 video Hangouts per month. But switching to cloud-based productivity apps was only part of the solution for us. If we wanted our workforce to truly embrace working in the cloud, we needed to give them devices that were cloud-native and flexible. That’s why we adopted Chromebooks. They integrate seamlessly with G Suite—so employees can use their favorite apps like Google Drive or Hangouts Meet—and they give our employees the flexibility to work from anywhere securely. Unlike our previous laptops, Chromebooks start up quickly and run updates transparently in the background. They also incorporate multiple layers of security out-of-the-box, including built-in virus protection, to reduce risk and eliminate the need for additional endpoint protection software. Safe browsing is maintained through sandboxing, and by design there is native encryption with zero effort required by our staff. Plus, we now we have a single console so we can securely manage all our enterprise profiles globally. As a result, our IT teams spend far fewer hours managing devices and updating software. We consider Chromebooks to be the best device for cloud workers, and a key to the success of our global SATAWAD project. Now that we’ve deployed Chromebooks to almost 3,000 employees and collected their feedback, we’re completing our roll-out to all of our nearly 170,000 employees by the end of 2019. Although we’ve seen many benefits since we switched to G Suite and Chromebooks, the biggest is that our workforce has become truly connected. Today, water systems engineers in Ecuador can work with finance managers in Paris, even when they’re separated by thousands of miles and several time zones. Our employees increasingly expect to work with their colleagues all over the world, not just the ones a few desks away.